Testing your code is a great way to improve quality and minimize bugs due to regression. PHP has a couple frameworks available for unit testing, but the most popular by far is PHPUnit. Because unit tests are going to be run on a variety of environments, running tests within Docker containers can make tests faster and more portable. 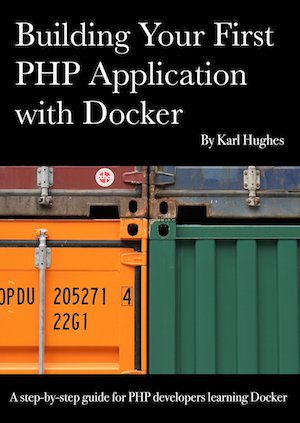 This tutorial will walk you through setting up a PHP application with unit tests that can be run in Docker. This class has one function called addOne that will simply add 1 to an integer when passed in. This will install version 6.0 of PHPUnit into our directory’s new vendor folder. This test is stored in a file called ExampleTest.php in the same directory as the class we’re testing. Typically, you’ll want to put your application files in a different directory from your tests, but since this is a simple example, everything is in the root directory. In the function testItCanAddOneToInteger, we instantiate the ExampleClass, get a random number, call the addOne method, and then assert that the result is correct. Finally, to run a unit test you need to make PHPUnit aware of your code files and test files. The best way to do that in a large application is using PHPUnit’s XML configuration file, but since this is a very simple example, we’ll just use the command line interface. PHPUnit 6.0.13 by Sebastian Bergmann, Julien Breux (Docker) and contributors. This indicates that one unit test was run and that it passed.